We Train You To Defend With Confidence! Looking to host a martial arts themed birthday party? Private lessons fit your schedule better? We offer all of those things! DMAA accepts students of all skill levels and ranks in every class we offer. Our dojo offers three different styles. This is a phenomenal dojo! Great classes for kids and adults. The owners are dedicated to making sure students get the most out of their training!! It's a great place for kids and adults to start their martial arts journey. Outstanding instructors, great classes and they care for all their students. Highly recommend to anyone of all ages. Great place, great folks that run it!! Always feel welcome and very professional in what they do! My girls have loved their time at DMA in the grasshoppers class. They looked forward to going to class every week, and they learned not only about karate but also about patience and discipline. They loved their teacher, and also enjoyed attending the summer camp too. I highly recommend DMA to others! My son is starting his 4th year at DMAA. He started when he was 3 years old in the Grasshoppers Class. The one thing that impressed me the most in that class was the teacher - Cheryl. The biggest thing that classes teach is self-control. I noticed that Timothy was able to wait without complaint and had a greater respect for others. Timothy has since earned his yellow belt and looks forward to going to practice. The environment is very family friendly. Timothy is challenged physically and mentally everyday. His self confidence has been noted in the school classroom as well. I highly suggest attending classes at DMAA. 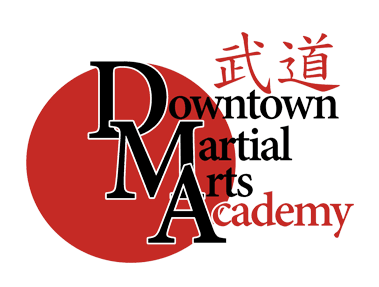 We Love Downtown Martial Arts Academy. My son started taking classes there when he was 4 years old in the Grasshoppers group, great class to start your little ones in. Great teachers in all levels, they really work with and take time with the kids. My 7 year old son has been taking martial arts there for just over a year and absolutely loves it. I think he'd go seven days a week if he could. His instructors are extremely knowledgeable and work well with kids. He has learned more than I thought possible this quickly. Can't recommend them highly enough.